Today has been a sad day for Hollywood and the Star Wars community at large, after the news broke that beloved actress Carrie Fisher, who portrayed the iconic Princess Leia, passed away at the age of 60. The news was followed with a wave of reactions from a number of Hollywood luminaries, but now we have new statements from Star Wars creator George Lucas, Carrie Fisher's co-star Harrison Ford, and Star Wars: The Force Awakens director J.J. Abrams. Here's what George Lucas had to say about his late leading lady. Entertainment Weekly also received a statement from Harrison Ford, following Carrie Fisher's death. 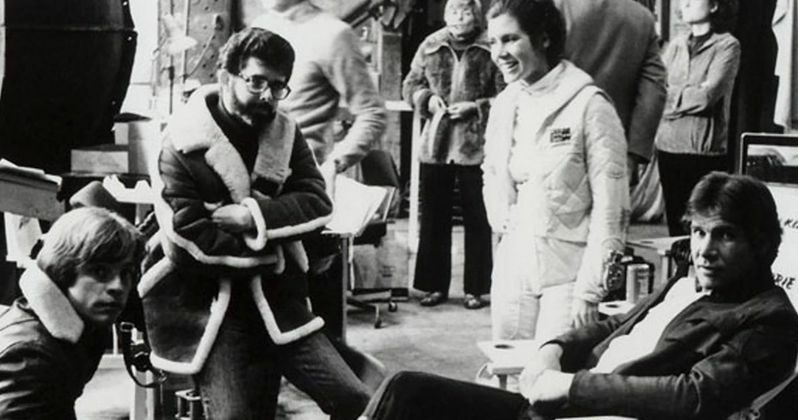 Just a few months before she passed, her new book, The Princess Diarist, revealed that she had an affair with Harrison Ford during the production of A New Hope. Here's what Harrison Ford had to say in his statement below. "Carrie was one-of-a-kind... brilliant, original. Funny and emotionally fearless. She lived her life, bravely...My thoughts are with her daughter Billie, her mother Debbie, her brother Todd, and her many friends. We will all miss her." Her death comes just four days after she suffered a heart attack on an international flight between London and Los Angeles, with the actress returning home from promoting her new book The Princess Diarist. As the news spread throughout the world, we have a number of tributes that have surfaced through social media, and from LucasFilm itself. Here's what LucasFilm president Kathleen Kennedy had to say in a statement. No funeral details have been announced for Carrie Fisher quite yet, and it isn't known when more information will be released. Until then, we have assembled a number of tweets from Mark Hamill, Anthony Daniels and a note from J.J. Abrams, which was posted to the Bad Robot Twitter account.